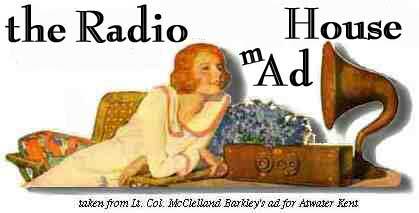 Enjoy all 1,399 episodes of CBS Radio Mystery Theater old time radio free! You can stream or download old radio shows in MP3 format or copy radio shows to CD. Remember the golden age of radio! OTRCAT.com (Old Time Radio Catalog) offers thousands of classic radio shows online. C. Crane features everything from radios, flashlights, to garden tools. Check out their great site! The largest supply of Antique Radio Grille Cloth on the Net! A great Site and a Must Visit. Your one stop shop for Quality Replica and Antique Radios. Check this site out!